Latest World of Warships Q&A from the Russian Server translated by Carnotzet. Q: This must be a joke. 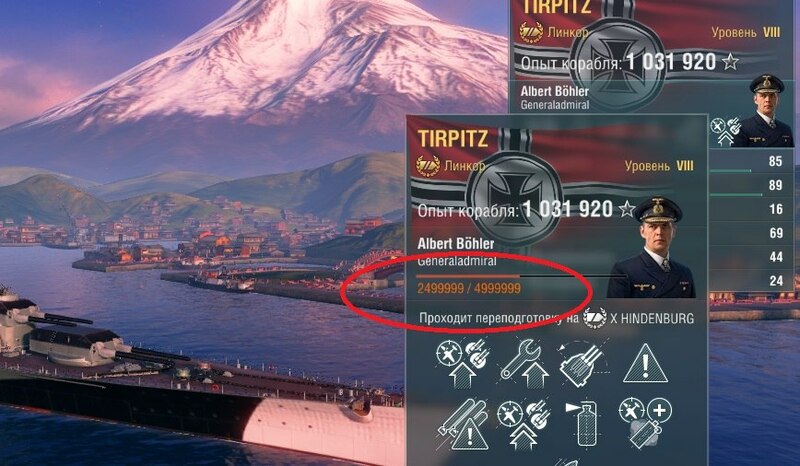 In 10 months, I managed to gain 1 million commander’s xp and here you’re asking me to gain 2.5 millions. You’re kidding me right ? A. It is not a joke, it is a tough economy. We are not pleased with it as well. That is why in patch 0.5.9 (that is currently undergoing public testing), we have set a limit to the experience needed for commanders retraining without paying or for credits. In the current test configuration, the limit is set at 100k and 50k, respectively. Q: I received 10 camouflages type 6 as reward for my progress in ranked battles. I was quite happy to equip them. However, after a certain time, it got worse. By activating auto resupply, it got through the 10 “free” camouflages and then started to buy them for doubloons. It is rather easy to miss the moment when one’s stock is depleted. Would it be possible to give me back my 100 doubloons ? A. I am afraid I cannot give them back since you already purchased the product. However, there are good news coming : in patch 0.5.9, we have split the button for auto-resupply and auto-purchase. That way, we will avoid situations where players lose doubloons or credits inadvertently. Bonus from 0.5.9 bulletin thread.